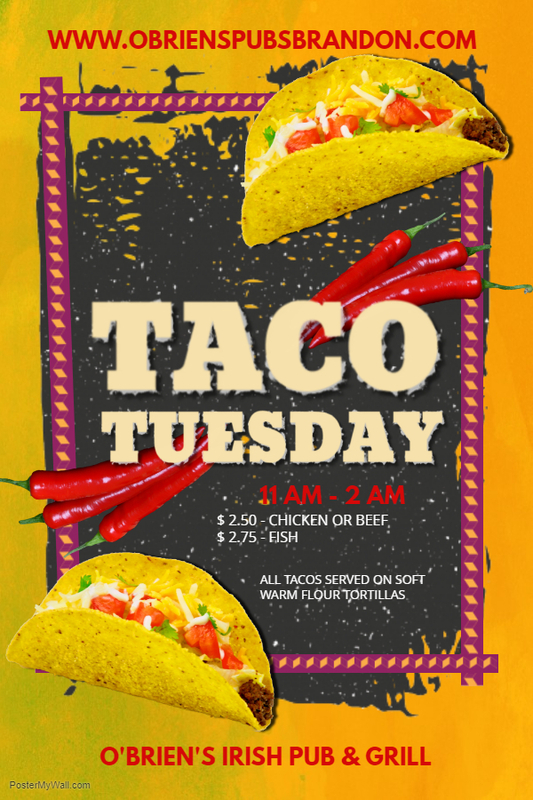 Head to O’Brien’s for Taco Tuesday!! Choose from our flavorful shredded chicken & savory ground beef for $2.50 each, or our flaky grilled fish for $2.75 each. All tacos served on soft flour shells.